Nadia and Mike – Rouge&Co. With the leaves just beginning to change colour, and a cool breeze in the air October had finally arrived, and so had Nadia’s and Mike’s big day. Being personal friends the pressure was on to make the flowers everything they dreamed of and more! 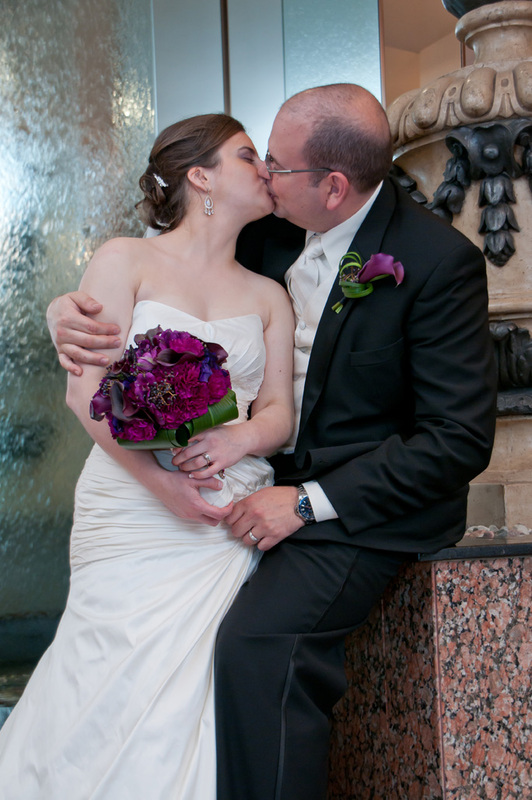 Being such an easy going bride Nadia instilled a lot of confidence in me, beautiful and purple was what she wanted and that is exactly what she would get. Working fiendishly t’ill the wee hours in the morning, managed to get maybe an hour or two of sleep, loaded up the car with the bouquets, boutonnieres, corsages and countless number of centrepieces and headed off to the south shore. The look on Nadia’s face when she saw her bouquet is something that i will remember forever, she was so beautiful and so happy….. 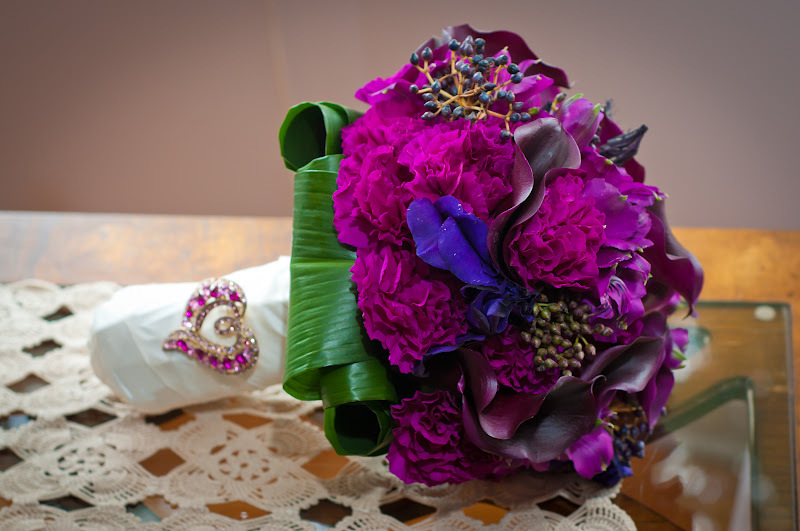 Thank you Nadia for allowing me to make your bouquet, those flowers were truly meant for you…. Posted on March 27, 2012 by Rouge&Co.. This entry was posted in Uncategorized and tagged bouquet, Flowers, wedding. Bookmark the permalink. ← Valentine’s Day -and yes, flowers work wonders.